Friday afternoon I flew into Seattle under clear skies. I could see both the Cascade and Olympic Mountain ranges and all the water below. It immediately became apparent why so many love the area – you have the beach and the mountains accessible. Best of both worlds. We took a walk in their trendy Ballard neighborhood that night and had a delicious meal of Thai food where we shared several dishes so we could all try them all. The food and conversations were a delight. Yesterday our early start was hampered by a quick walk to the local bakery for some morning pastry and fresh bread for our sandwiches for later and much reminiscing. as we have all just know each other for a few months now. But when you feel as if you’ve known someone for forever, it feels more like your just reminiscing old stories with them that they hadn’t recalled yet. 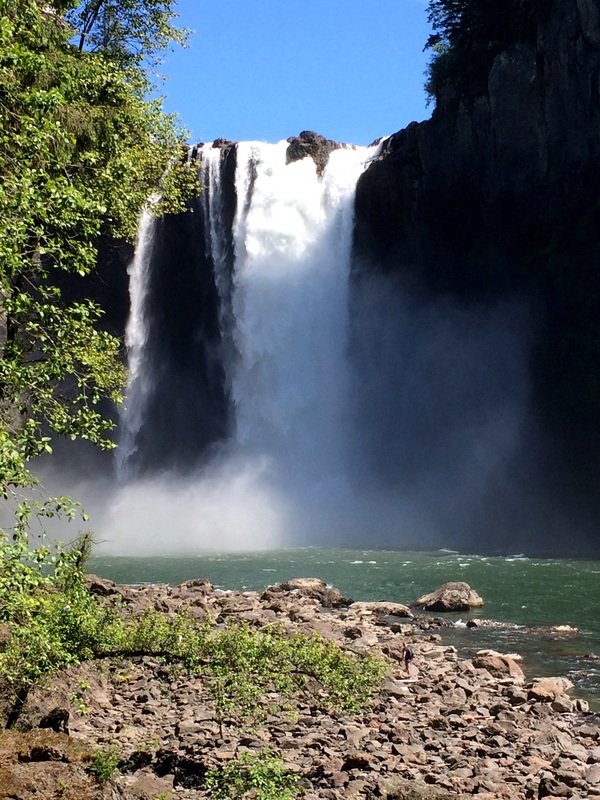 Several hours, a scrumptious breakfast and a few photo albums later, we were off to Snoqualmie Falls. 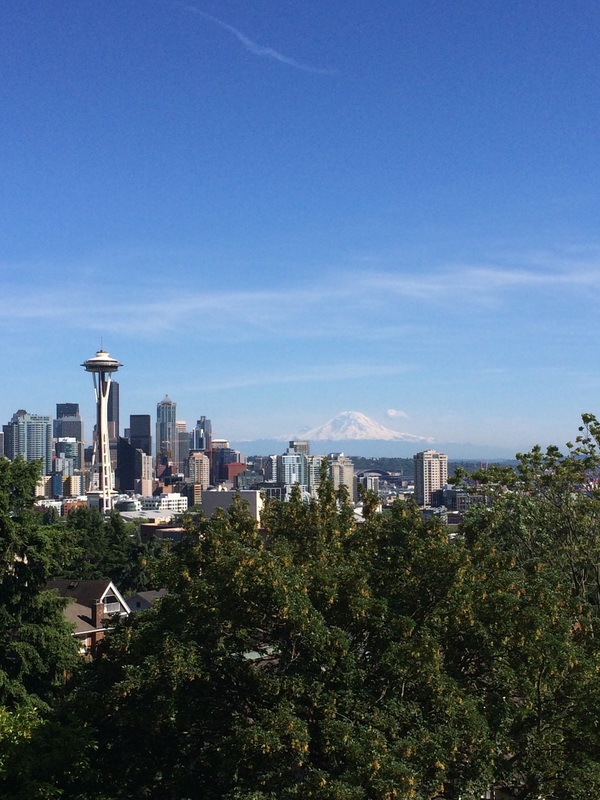 It wasn’t the long hike we had envisioned for ourselves, but we soon talked ourselves into other destinations of the Seattle view from Kerry Park and a stop at one of the ever present brew pubs in the area. We sat and played cards and laughed while trying a few of the brew recipes of the place. Good times. We then went back to their home and prepared together an amazing home cooked Indian curry meal. Okay, they prepared it, while I mostly watched after my duties of slicing and chopping were completed. Cant wait to see and hear more today. I’m jealous! 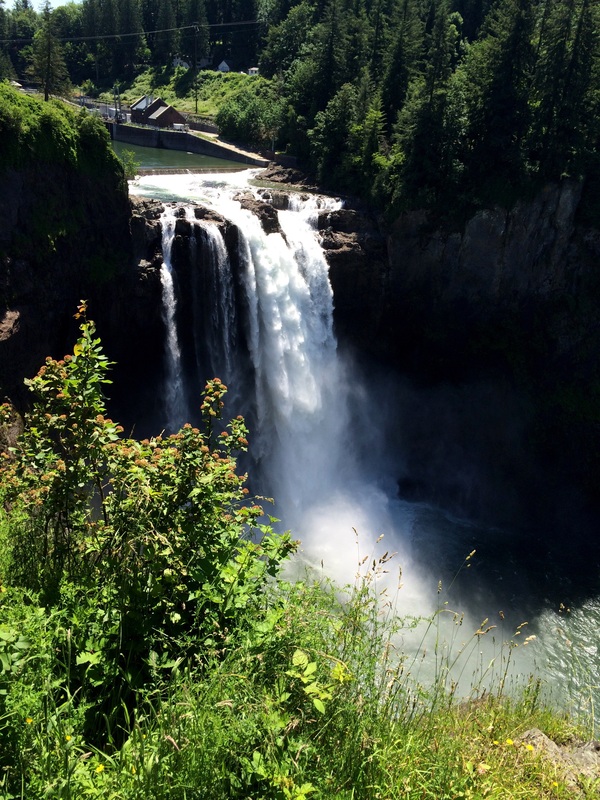 I’ve always wanted to see those falls-glad you did!